Your BIOZEN beauty institute for men and women recommends this facial treatment for people with sensitive and reactive skin or with diffuse redness. Who should use this sensitive facial skincare PHYT’s Capyl? This facial skincare “PHYT’S Capyl” is suitable for people with sensitive and reactive skin or with diffuse redness. How does a sensitive facial skincare PHYT’s Capyl work? It intended to comfort skin with diffuse redness. 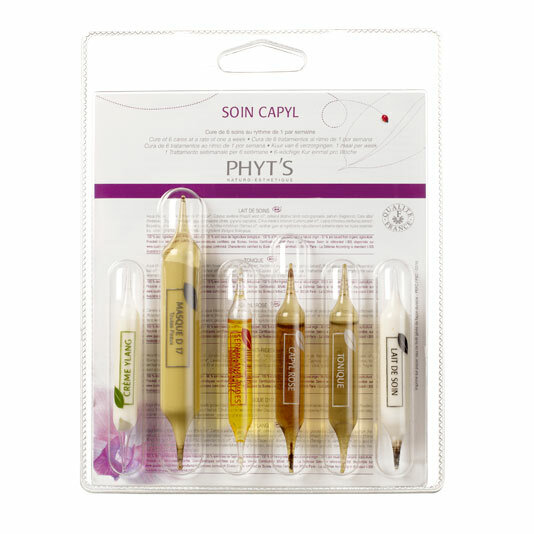 This sensitive facial skincare “PHYT’s Capyl” is ideal for sensitive skin. It all begins with cleansing with Care Milk and Toner. Then comes the time to make new skin with gentle scrub that does not attack the skin. There is a possibility of using steam and extraction of comedones (blackheads). Using Capyl Rose (serum) redness is targeted. Massage and relaxing apply of the mask on the entire face, neck and bust. Finally, once the mask is removed, the skin is protected with nutri-protective care. To prolong the results of the treatment, Capyl cream is available at the store. What are the results of sensitive facial skincare PHYT’s Capyl? The results of PHYT’S products are tested and proven in the laboratory. This sensitive facial skincare “PHYT’S Capyl” will allow you to find a balance of skin, a comfortable skin, decongested, resting features and attenuated redness, if any. How often do you do a sensitive facial skincare PHYT’s Capyl treatment? It is advisable to do a sensitive facial skincare “PHYT’S Capyl” on average once a month or in a 4 treatment course (1 treatment per week). What is the price of a sensitive facial skincare PHYT’s Capyl treatment?